Can't read this message? Click here! Rights for People, rules for corporations - Stop ISDS! 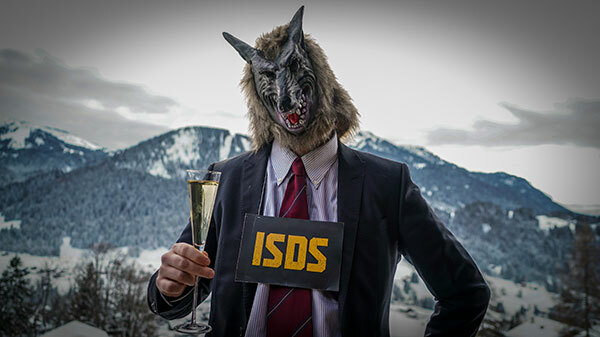 ISDS stands for ‘Investor-State-Dispute-Settlement’. It is an obscure parallel justice system only accessible to large corporations. They can use it to sue states and prevent new rules that were intended to protect people and the planet. If on the other hand people are harmed by a corporation, they often don't have any way of winning justice. This is a horrendous injustice! PS: EU member states have just decided to terminate all ISDS treaties amongst each other. This is a really significant first step. And we helped to bring it about! Let’s increase the pressure now to ensure that all ISDS treaties are cancelled, and no new ones are ever signed! Yes, I want to help end ISDS now! PLEASE FORWARD THIS NEWSLETTER TO RAISE AWARENESS! You are receiving this newsletter because you signed up on our website or when signing the ECI. If you would like to unsubscribe from this newsletter, please click here. If you would like to subscribe to this newsletter with another address, please click here.